The Council's senior management team ensures the Council achieves its aim of making a positive difference to almost every aspect of the quality of life of local people. It is led by the Chief Executive and supported by the Corporate Director and heads of service. Senior officer salaries can be found within the Council's Statement of Accounts. 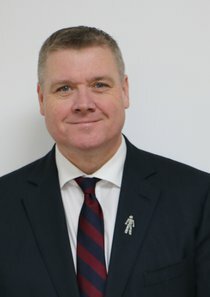 The current Chief Executive is Ian Frost. The Chief Executive is the senior officer who leads and takes responsibility for the work of the paid staff of the council. The role of Chief Executive is a full time appointment and as the ‘Head of Paid Service’, the Chief Executive works closely with councillors to deliver strong and visible leadership, direction, strategic policy advice, partnership working and operational management. The Chief Executive ensures that the recording of decisions made is open and transparent, ensures the Council delivers on its objectives and directs council initiatives to achieve value for money in the delivery of services. The Corporate Director is an appropriately qualified and experienced professional who contributes to the strategic direction of the Council as part of the Senior Management Team. They have responsibility for the delivery of specific Council Plan and improvement priorities and cross cutting projects as directed by the Chief Executive. Ian Frost joined Allerdale Borough Council as Chief Executive on 1 July 2013. 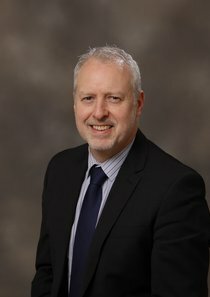 He has previously worked for CIPFA where he led the Business Change consultancy service delivering transformation projects for local government, the NHS and government departments. Ian is a qualified accountant with extensive experience in local government finance. He spent the majority of his early career at Stoke-On-Trent City Council where he was Director of Finance and Director of Corporate Resources until 2007. His other roles have included Director of Finance at Milton Keynes Council and Interim Finance Manager at Redcar and Cleveland Council. Ian is married with one son and is a Stoke City FC season ticket holder. Andrew Seekings joined Allerdale Borough Council in May 2013. He was born in Doncaster, attended Sunderland University completing an Economics degree and a Post Graduate Diploma in IT. He began his career in the voluntary sector working for a community business until joining Sunderland City Council in 1997. Andrew started his Sunderland career in the regeneration field including managing SRB programmes, working on large physical and infrastructure projects and community economic regeneration programmes. He later went on to become Asst. Head of Change Management implementing the council's first customer service and access programme including the establishment of the council's first corporate contact centre. Having completed practitioner level Prince 2 training, and advanced practitioner programme management (MSP) training he then went on to establish the council's first Programme and Project Office as the head of service. Most recently, he has been working as the Head of Transformation, Programmes and Projects with day to day responsibility for the council's awarding winning transformation and change programmes and projects. Andrew enjoys most sports and continues to play football and squash. Married to Sue, he has one daughter.